TMZ website report that actor George Kennedy has passed away aged 91 on 28th February 2016. Kennedy who appeared in many different film roles, including the film Cool Hand Luke (1967) in which he won an Academy Award for Best Supporting Actor. Other well know films include, The Naked Gun series in which he played alongside Leslie Nielsen as Captain Ed Hocken. He also appeared in an all-star cast in the Dirty Dozen (1967) and alongside Clint Eastwood in Thunderbolt and Lightfoot (1974) and The Eiger Sanction (1975). George Kennedy was one of those actors who appeared in many films in key roles, his performances elevating the film a level. He must of been an actor directors dream about, as he was able to play various roles. He had a reoccurring role as Joe Patrono in Airport, Airport 1975 and Airport’77 he also appeared in another disaster film alongside Charlton Heston in Earthquake (1974). In 2014 he made his last film appearance in The Gambler starring Mark Wahlberg and John Goodman. As well as appearing in films, Kennedy also popped up in several TV show including Gunsmoke, Bonanza, Perry Mason and Ironside to name just a few. A brief glance at his filmography will show he was in constant demand pretty much throughout his career. So sad news I’m sure you will agree, they sadly don’t produce actors like him anymore, but lets take a look a George Kennedy in action. I’ll leave you with this clip from Naked Gun 2½ with him alongside Leslie Nielsen. Great stuff!!! Why not take a look at the rest of the site, peruse one of our movie reviews. Maybe take one of the movie quizzes on offer. 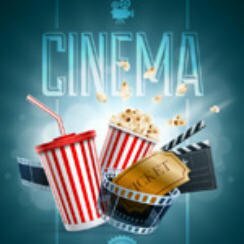 Please feel free to leave a comment, because we all love to talk about movies right? And if you are looking for a film to watch maybe take a look a Naked Gun film or one of George Kennedy’s other ones.